One of most successful Indian female author, Preeti Shenoy, is back with her new book releasing this November. A Hundred Little Flames is Preeti Shenoy’s new novel which was announced at the prestigious Birmingham Literature Festival on 7th October. Contrasting to her previous books, A Hundred Little Flames by Preeti Shenoy, is about a young boy and his grumpy Grandfather. The release date for this book is 7th November 2017. Let’s have a detailed look at the story of Preeti’s upcoming book and what is it going to offer to the readers. Firstly talking about the book cover and the title. Both are pretty different from the ones we have witnessed in Preeti Shenoy’s previous books. And, it is a good kind of change. The cover will give you a nostalgia. It resembles an old-school painting of a typical grandfather and a grandson sitting alongside the ‘little flame’ of an oil lamp. Coming to the story, A Hundred Little Flames is set in a diminutive village of Kerala away from the hustle of cities and complexities of life. Ayan is a 26-year-old adult boy who is sent by his father Jairaj to live with his Grandfather Gopal Shanker in this village. 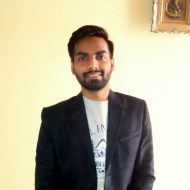 Ayan’s father is quite strict and has his own plans while Ayan is completely devasted to be in place that doesn’t even have internet connectivity. With Ayan having most of his life ahead of him and his grandfather having most of his life in the past, A Hundred Little Flames will take you on a journey back, taking a step forward. As this unusual stay spans over few months, Ayan has to accept the hard realities and the blindness of greed. With the progress in the plot, Gopal Shanker and Ayan, both learn how life can unfold in completely unanticipated ways. What to expect from the book, A Hundred Little Flames? If you are tired of reading just candid love stories from popular Indian authors, then ‘A Hundred Little Flames’ by Preeti Shenoy will be your beautiful break from all that. Also, the book has a unique subject of connection between generations and how it should be in today’s age. Preeti has targeted the youth with a brilliant story as well as addressed the problems of older people mindfully. Excited to read? Let me tell you that the pre-orders of A Hundred Little Flames written by Preeti Shenoy have already started. Pre-order your copy of Amazon now! 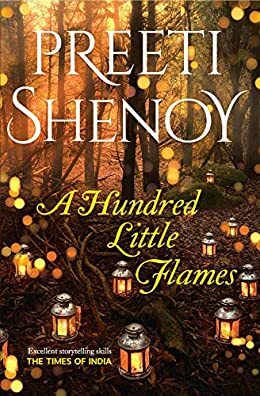 This is a pre-release review of A Hundred Little Flames by Preeti Shenoy and will be updated after the release of the book i.e. 07 November 2017. Preeti Shenoy is entitled as the highest selling female author in India. She has written nine novels till now including ‘Life is What You Make It’. Her first book was published in 2007 while the most recent book was It’s All in the Planets (2016). Preeti Shenoy was awarded the Indian of the Year 2017. She has also been nominated for the Forbes List of the 100 most influential celebrities in India. Preeti is a woman with several talents from photography and yoga to sociology. The title is absolutely interesting. Preeti Shenoy has surprised me again with this one. Looking forward to read A Hundred Little Flames as soon as it releases.. ?